When working around the potential for flame, make flame-resistant workwear part of your plan. Stay protected in style with this Wrangler Riggs Men's Khaki FR3W5 KH Flame Resistant Long Sleeve Shirt This khaki men's top is crafted from the finest quality flame-re ... (see full details) (see specifications) #WRGFR3W5KH. This khaki men's top is crafted from the finest quality flame-resistant 6.5-ounce 100% cotton FR twill fabric and meets NFPA 2112 requirements and NFPA 70E, ASTM 1506 and OSHA Rule 1910.269 standards. It's rated HRC2, ATPV 8.5 CAL/CM2. This button-front shirt is all business for a professional look that delivers both comfort and style, with a relaxed fit, a rounded bottom, and straight back yoke. It features two-button adjustable cuffs and a button-down collar. Two front flap pockets close with buttons, and a pencil slot on the left pocket provides easy-to-reach convenience. A Safety Orange ID on the left pocket helps provide high visibility. Wrangler combines safety, style, and comfort in this Wrangler Riggs Men's Khaki FR3W5 KH Flame Resistant Long Sleeve Shirt so you stay comfortable, protected and looking good on the job. Order today from the flame-resistant workwear specialists here at Working Person's Store! This shirt is stylish looking and very comfortable. They have a great long lasting wear. I am out in the cold while I work and I am able to wear these with comfort and they are not bulky and they don't get in the way. Easy to get in and out of . Fit nicely in length because I am tall and hard to fit. I would recommend these for a great work shirt that doesn't need ironing. This is a great FR shirt. It's pretty thick, which is good for hard use but a little warm on hot days. Works great on cooler days though. It doesn't shrink when put into the dryer and comes out without wrinkles which is a huge plus. I've loved mine so far, the only reason it isn't five stars is because the sleeves are a little narrow and there is only one button on the cuffs instead of two like you find on many shirts. 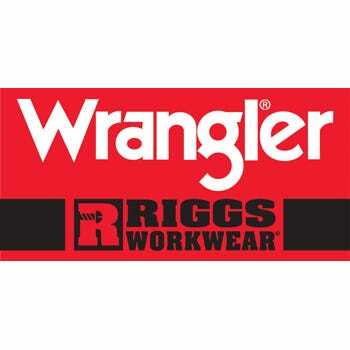 My husband wears these Wrangler Riggs work shirts for work and when he has to meet with clients. He has some in light colors and one in black. We have washed the black one for 6 months now and it hasn't lost the nice dark color. Good to have a shirt that looks professional enough to meet clients in the morning and tough enough for you to go straight to work when you get back to the shop. Wrangler Riggs Shirts: Men's Khaki FR3W5 KH Flame Resistant Long Sleeve Shirt is being added to your cart.